Easily scans documents, photos, plastic I.D. cards and more. Bundled with a versatile software suite. 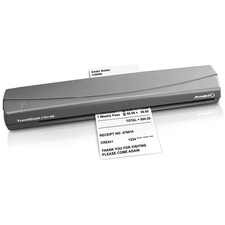 Efficiently scan documents, receipts and plastic I.D. cards with these USB-powered mobile scanners. Perfect for mobile professionals or for those with limited desk space. 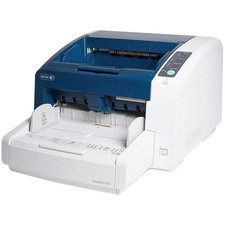 Enjoy rapid, precise color and black scanning, up to 8ppm simplex, with optical resolution up to 600 x 600 dpi. Scan to a variety of formats and destinations. It is bundled with a versatile suite of software, including OCR desktop document and business card management programs. Features single-pass duplex scanning and BR-Receipts software. 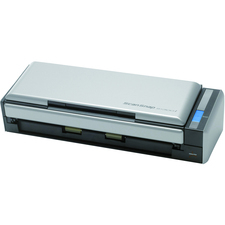 Scan Size (W x H): 8 1/2" x 32"; Buttons: 1; Connector/Port/Interface: USB; Dpi Graphics Resolution: 200 x 300 dpi.